We’re inviting the next wave of movers, shakers and change-makers to join our Young Achievers Program at Crowdsourcing Week’s CSW Global 2018 conference in Washington DC. Here are our Young Achievers. We believe the next global decision makers must be adept at working collaboratively to find solutions and understand the massive impact of Decentralization and Crowdsourcing, and CSW Global 2018 is going to be a must-attend conference. To support emerging young leaders, we’re inviting the youngest and brightest from all around the globe to receive a scholarship for a Full Access Pass and to benefit from the largest and most influential crowdsourcing platform in the world! 1) To recognize and nurture new talent and ideas. 2) To ensure promising young leaders are able to attend CSW conferences and understand the impact of crowdsourcing, decentralization and innovation in any domain. 3) Forge a global network and support the ecosystem for the upcoming era. 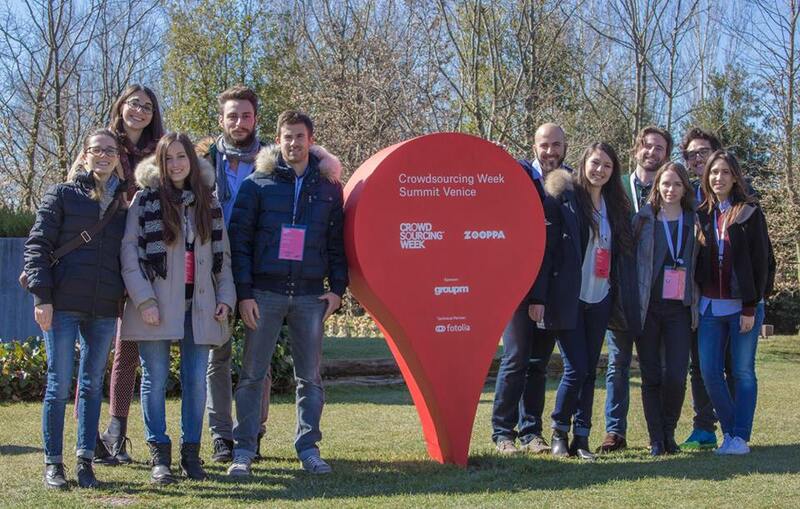 Young future leaders under 25 will be selected to attend Crowdsourcing Week’s Global 2018 conference 2018 in Washington D.C., mainly from US and Canada, though the program operates worldwide. If you are chosen to participate, you must be able to attend the conference from October 24 through 28 and you will receive a complimentary Full Access Pass, access to CSW’s network of top voices in the most relevant fields, recognition at the conference, continued membership in an exclusive community of global youth innovators, and many other opportunities. 1. Are you a young leader who wants to learn more about crowdsourcing, crowdfunding, decentralization and open innovation? 2. Are you 25 years old or younger, live in US or Canada, or any other country in the world with the benefit of either already in possesion of a US Visa or you will be able to obtain a US Visa in less than 1 month? 3. Are you taking new ideas to action in an innovative area (including but not limited to crowdsourcing, sharing economy, fintech, space, environment, IoT, big data, smart cities) perhaps as a young professional, researcher, entrepreneur, policymaker or member of any NGO / development agencies? Sound like you? Apply to represent your country at the CSW Global 2018 conference! We’ll pick up to 3 potential candidates to have the opportunity to work with CSW’s global colleagues and be part of our core team (ONLY Extraordinary people will be considered)! This can be a life-changing opportunity for any youngster around the globe. We’ll make this a win-win situation – for companies and Young Achievers – so we’ll ask you to provide us with your CV which we will share with our amazing partners (companies, institutions, organizations, NGOs, a.o.) and you’ll have the opportunity to get a job or internship. More info coming soon. Stay tuned, young achievers! Be the main star of the event! We’ll pick one of you to be on stage with our Founder & CEO – Epi Ludvik and to share your thoughts! Ex-Young Achiever (2016 in Bruxelles), Alex is a young leader from Romania, who joined our global team as Marketing Partner and is now looking to find other global talents willing to make a change in the world. Coming from Manila, Philipinnes, Mia is a young proactive member of the global CSW team and is going to choose the best of the best to be part of YAP 2018 and to join the changemakers. Mia will also be your main point of contact. For me, CSW Brussels 2016 YAP was the best experience because I had the opportunity to meet new people passionate about the same things. The speakers were very good and we could see crowdsourcing applied in several sectors of the economy.